What is a real beauty?! Well, this will be answered by the newest drama-serye of TV5 called "Glamorosa!" "Glamorosa" will be the fifth drama series of the Kapatid network for this year after giving us the previous grand soaps namely "Babaeng Hampaslupa", "Mga Nagbabagang Bulaklak", "The Sisters", and "Sa Ngalan Ng Ina." The story will tackle the drama within beauty and plastic surgery. "Glamorosa" reunites two of the veteran actresses in the industry. The so-called Timeless Beauty Ms. Alice Dixson returns on Primetime after her stint in "Babaeng Hampaslupa." The Grandslam Best Actress Ms. Lorna Tolentino also returns on Primetime now in the Kapatid network after playing the antagonist Alondra in the hit Kapamilya TV series "Minsan Lang Kita Iibigin. Lorna portrays the character of Natalia, a daughter who is seeking love from her mother. On the other hand, Alice breaths life to Paulina, a wife who is seeking vengeance. Lorna and Alice were joined by the TV5's young star Ritz Azur. 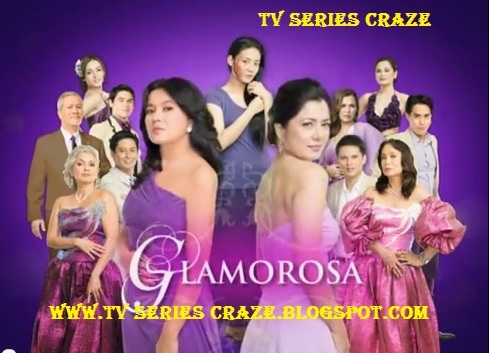 They say that "Glamorosa" is patterned after ABS-CBN's "Magkaribal." Are you convinced since both teleseryes were tackling about beauties and rivalries? !